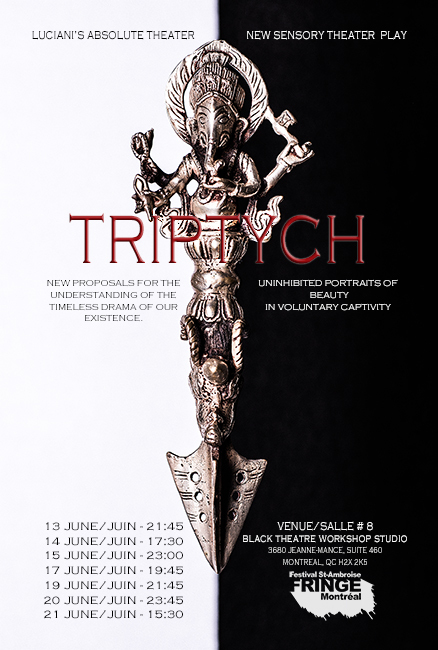 TRIPTYCH is an Absolute Theater Production about rites and myths of LOVE, LUST and LONGING. Uninhibited portraits of beauty in voluntary captivity. 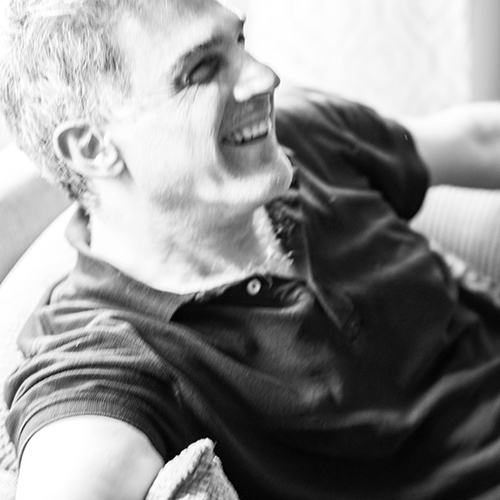 "Triptych" is a theatrical proposal, an exploration of the creative realm of personal awareness and, part of the SENSETORM's creative statement. Before a man allows himself to relate to others and to the world around him, he must follow his own journey to transcendence; "Triptych" is an Absolute Theater representation of this journey. Two men, imprisoned in a confinement that only they can see, struggle to find their way out by unleashing the liberating and transformative powers of rituals in search of "order", "sense of belonging" and "change". The men learn about the permeability of their confinements; how these barriers are both prisons and protective shields from the outside and, more importantly, they discover that these confinements are in themselves the keys to their liberation and transcendence. LOVE is the first reflected image on the three paneled mirror represented in "Triptych"; a reflection of love not as a relationship between people, but as an innate capability and source of raw energy. As the manifestation of love grows stronger and clearer, a second side of this energy becomes evident: LUST for the absolute liberation and celebration of life energy. Finally, we see the third and balancing panel: LONGING, the eternal pursue of transcendence and liberation of the self. "Triptych" is a PORTRAIT OF BEAUTY, which is just one way to refer to the state of ultimate transcendence or "ABSOLUTE BLISS"; a state that defies social and preconceived definitions and that is as "unique" and "individual" as each one of us and each man's journey.